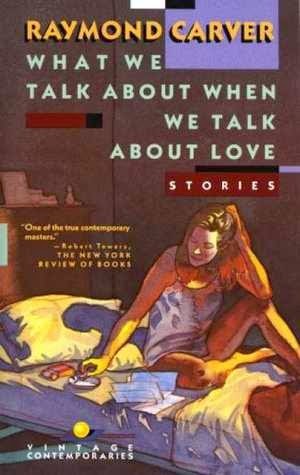 This powerful collection of stories, set in the Northwest among the lonely men and women who drink, fish and play cards to ease the passing of time, was the first by Raymond Carver to be published in the UK. With its spare, colloquial narration and razor-sharp sense of how people really communicate, the collection went on to become one of the most influential pieces of literary fiction. When I started reading, I found these stories a little too spare, a little unfinished. They were snippets of lonely people and troubled relationships, but nothing I could really sink my teeth into. I set the book aside and when I picked it up a second time, I discovered that these stories are better digested when read with fewer interruptions. Although these stories are about a variety of characters, I found their commonalities, differences, views and struggles very compelling, if not always enjoyable. Reading the stories consecutively helped to draw me in and connect me with the characters. The words, though brief and simple, were astonishingly effective at portraying the human condition with grittiness, humor, and poignancy and showing a glimpse of American society. Fix a drink, have a smoke, and discover Raymond Carver.